Last week, I wrote about opposites attracting in home décor - and since the laws of attractions don’t stop at furniture and knick-knacks, I thought I’d carry it over to fashion as well! Striking a balance between hard and soft styles is the perfect way to put together an eye-catching outfit. Here I mixed menswear-inspired pieces such as a gingham shirt and loafers, and stylishly paired it with florals and other lady-like details for a chic look. What do you think? Are you a fan of hard and soft styles? Love this look, I would totally rock this ensemble. 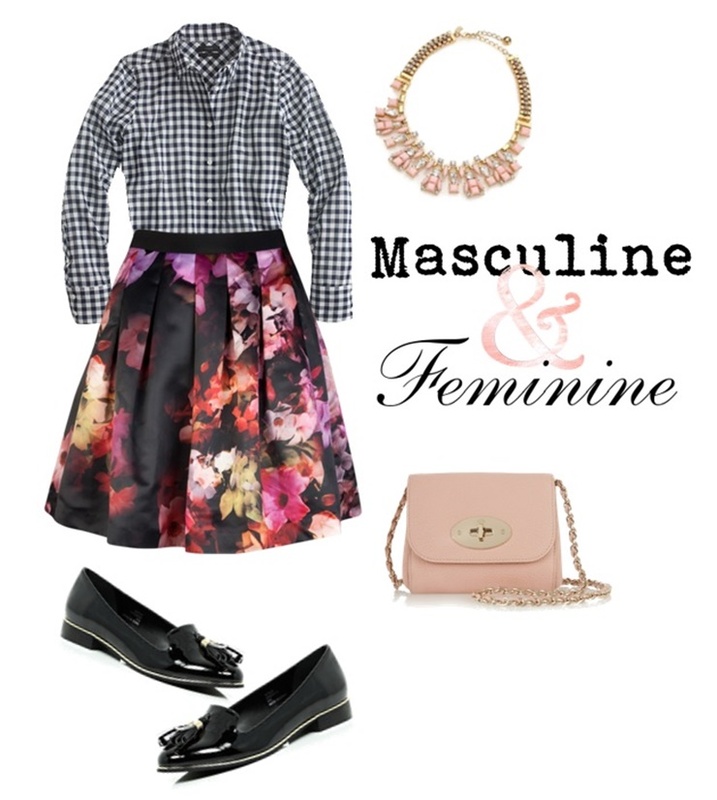 I'm all about the masculine/feminine look in fashion. I also like a little rocker mixed with girly. Opposites definitely do attract! I love the paten shoes with the tassels!